There are actually many types of careers in international accounting available for students who are interested in either working domestically with global accounts or working aboard in a foreign company. Below introduces some of the most popular careers in international accounting. International accounting starts where the generally accepted accounting principles (GAAP) stop. That is, international accountants perform their duties according to the International Financial Reporting Standards (IFRS), according to the American Institute of CPAs. International accounting is becoming more popular as globalization integrates foreign markets and companies together. Whenever companies deal with currency exchanges of foreign business transactions, international accountants must analyze and decide alterations in exchange rates between the selling and collection dates. However, date gaps and unpredictable exchange rates between the sale and collection may result in considerable financial losses or gains. Therefore, international accountants handle these complex financial tasks, along with ensuring compliance with local tax and financial regulations. Every country’s tax regulations will be unique in their own way. An international tax accountant must understand these differences when preparing complex tax returns for the local parent company and their foreign subsidiaries. However, tax return preparation is only the beginning of the tax accounting process. During the year, tax accountants must continually monitor, plan and adjust financial processes to remain compliant with tax codes. They must also participate in annual internal audits that will ensure that all internal controls and systems are properly functioning. They will use their forensic training to review irregular tax information from foreign divisions and departments. This can be difficult because affiliated companies may have offices in foreign countries with non-English speaking staff. International management decisions are more complex and need comprehensive financial data and analysis. Management personnel require a large amount of information for strategic planning and decision-making. International managerial accountants are needed to scrutinize the financial statements of foreign subsidiaries, such as cost reports that detail the foreign taxation situation and the exchange rate fluctuations. 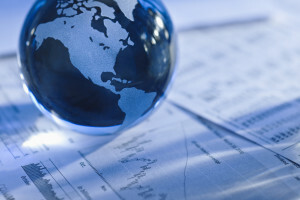 There are also numerous financial data sources that affect international businesses. International managerial accountants are also tasked with documenting and appraising the financial information of foreign subsidiaries. However, the financial data that they review and prepare is meant for only internal management, not the general public or government. International managerial accountants often work on budgeting, performance evaluation and asset management. International accountants who love to travel and experience the world will enjoy being an internal or external auditor. Internal auditors will be assigned to a specific foreign subsidiary or region of a foreign country. They will be responsible to work with local accountants and financial professionals to perform in-depth audits of internal data, controls and systems. They will enjoy work stability and the opportunity to build relationships with co-workers. On the other hand, external auditors will travel to different countries to perform formal inspections of financial systems and documentation. This is important because GAAP variations in different countries cause significant accounting variations. Certain countries, such as the U.S. or the U.K., depend on external audits to create comprehensive assessments of financial accuracy and integrity. However, other countries merely expect the audit to provide basic information to the shareholders or the government. To review, there are exciting careers awaiting international accountants who want to either explore the world or live in another country. Fortunately, there are many more types of careers in international accounting available, such as financial analyst, cost accountant and Chief Financial Officer (CFO).